The Repetto Formation is over 3,500 ft (>1,067.1 m) thick in the structurally deep central trough in the Los Angeles Basin (Conrey, 1967). 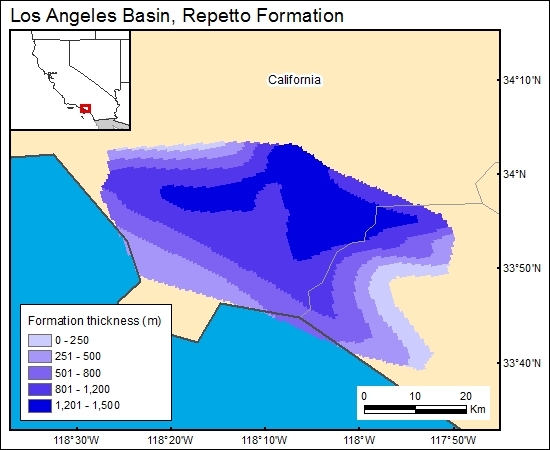 The Repetto Formation pinches out to the southeast toward the San Joaquin Hills and is less than 1,000 ft (<304.9 m) thick to the southwest and northwest of the central structural trough. Repetto thickness was gridded (c3repettog).